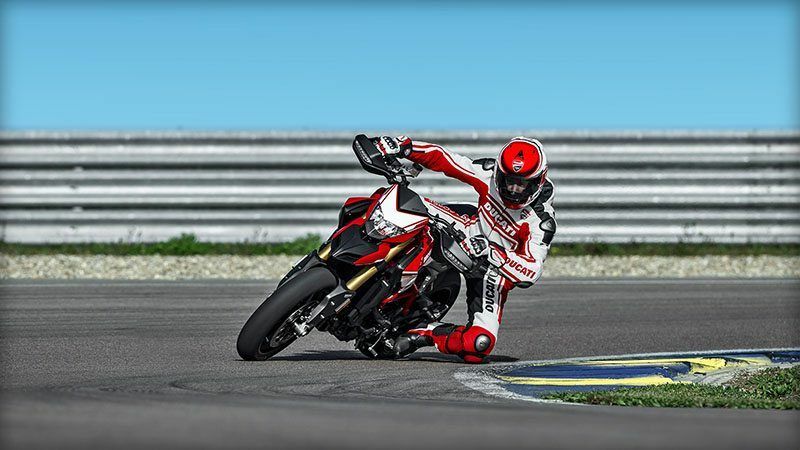 ÖHLINS FRONT FORK: The Hypermotard 939 SP uses a 48mm diameter fully adjustable Öhlins USD fork, offering the very best in front-end feeling and bump absorption during even the most aggressive sport or track riding. 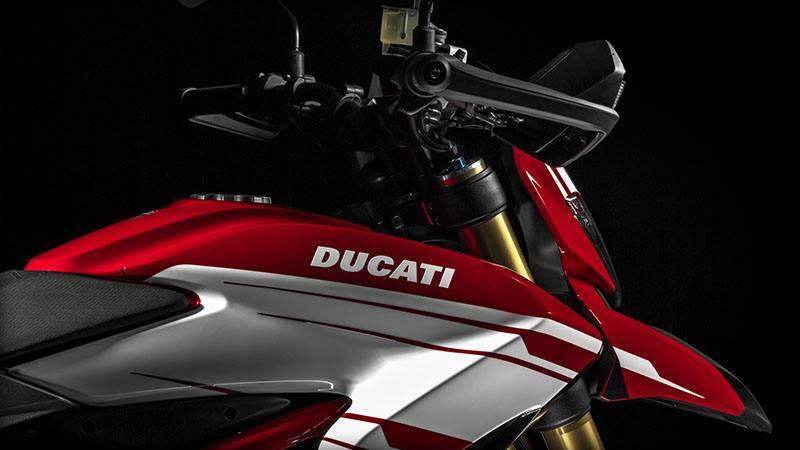 Preload, rebound, and compression can all be fully tailored to the rider's desire, giving the 939 SP an unparalleled ride. 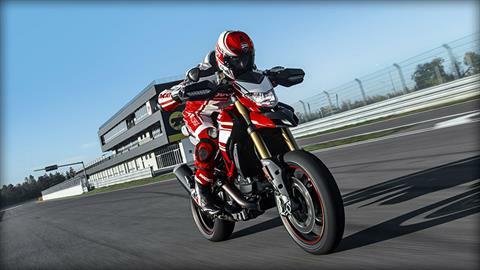 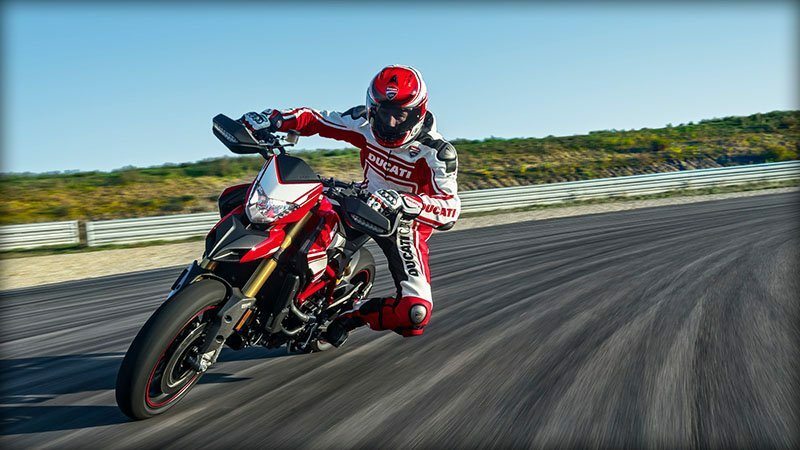 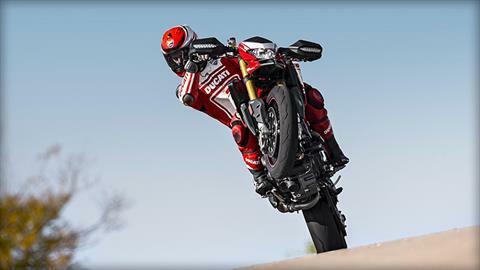 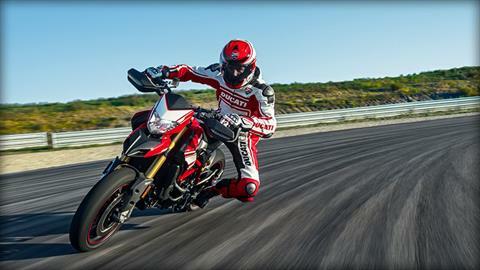 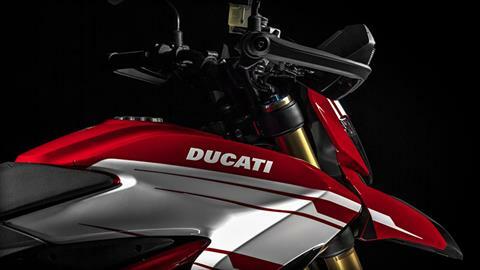 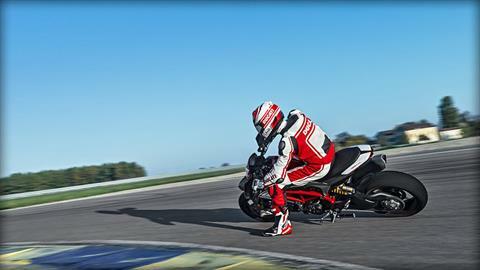 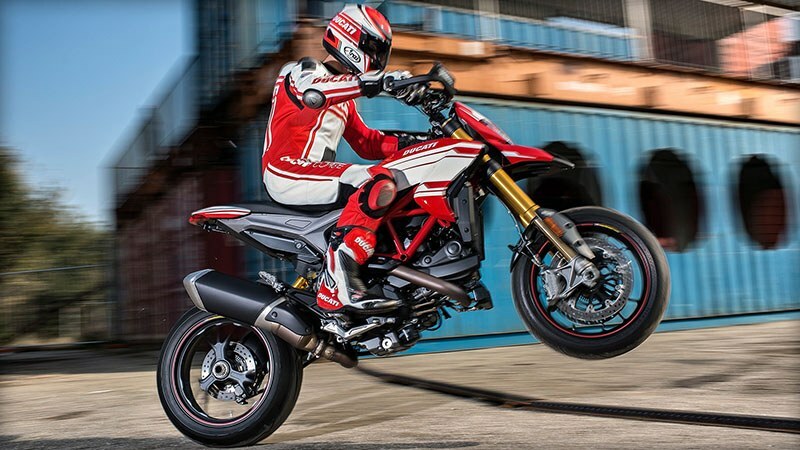 SPECIFIC RIDING MODES FOR THE "SP": The innate sporting nature of the SP version of the new Hypermotard 939 family is highlighted by the use of the same 3 Riding Modes as the 1299 Panigale, which are programmed to instantly change the engine torque and the intervention levels of the ABS and Ducati Traction Control even while riding: RACE: The Race Riding Mode provides 113 hp with a direct response from the RbW on acceleration, minimum intervention from the DTC system and level 1 efficiency from the ABS which is applied only to the front wheel and without rear wheel lift control. SPORT: The Sport Riding Mode provides 113 hp with a more progressive response from the RbW on acceleration, average level intervention from the DTC system and level 2 high braking efficiency from the ABS with reduced control over lift. 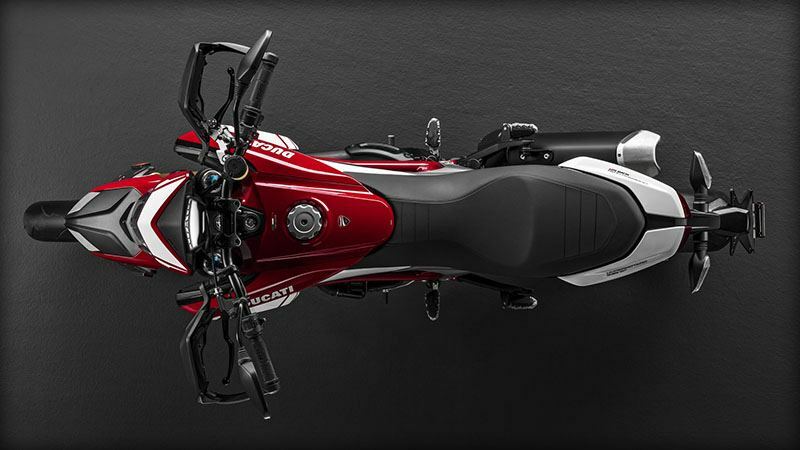 WET: The Wet Riding Mode provides 75 hp with gradual response from the RbW on acceleration, intervention from the DTC system close to the maximum threshold and level 3 braking efficiency from the ABS with maximum stability on braking and control over lift. 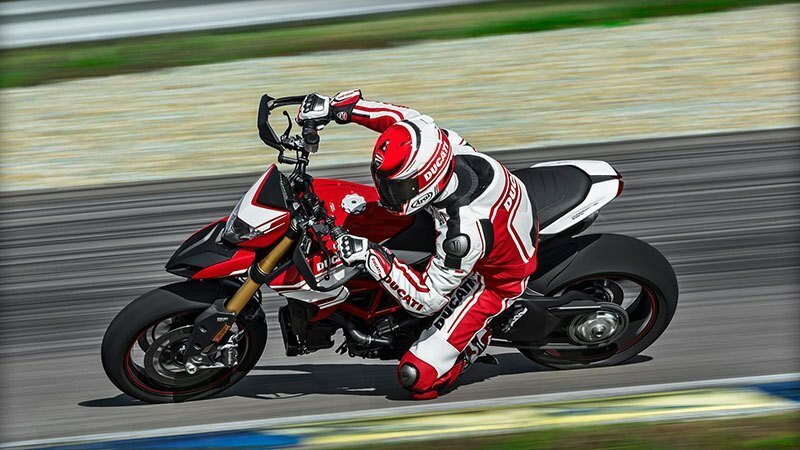 RACING COMPONENTS: The clearly sports-inspired components which complete the SP version are the front mudguard and cam belt covers in carbon fibre, the front radial master brake cylinder with a 5-position adjustable lever, and the dedicated seat specially designed for maximum grip. 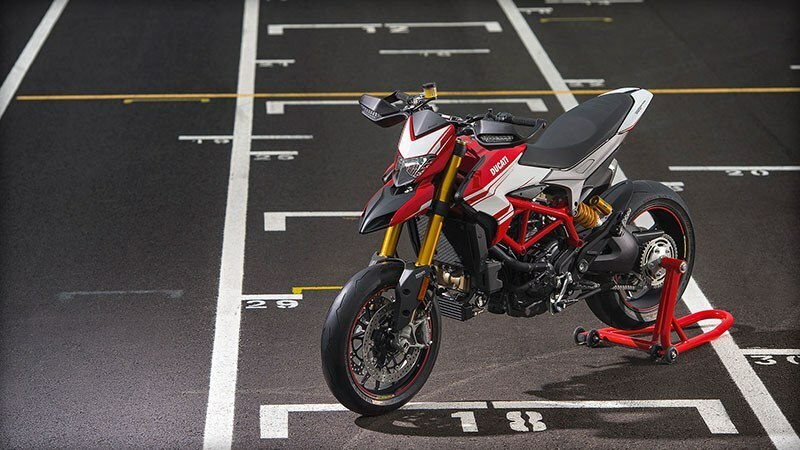 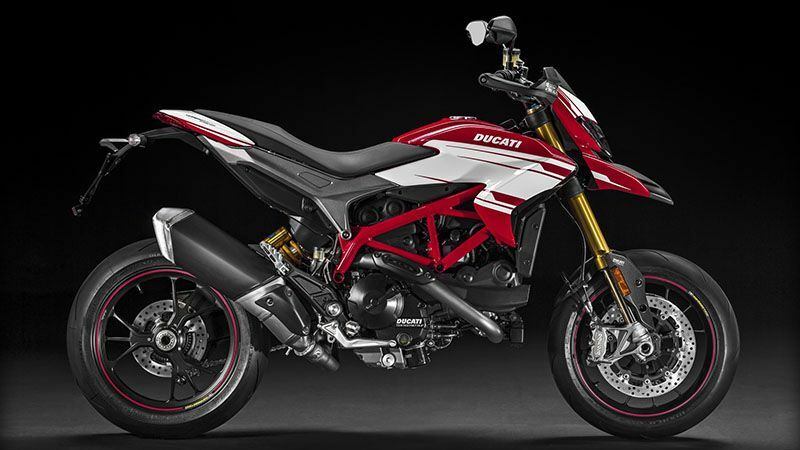 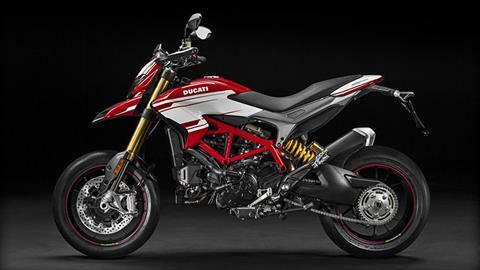 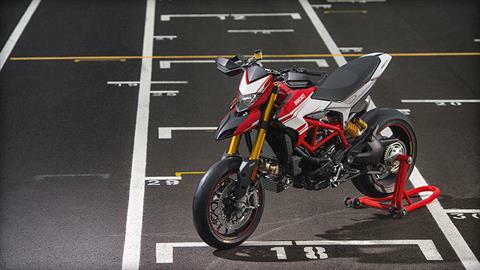 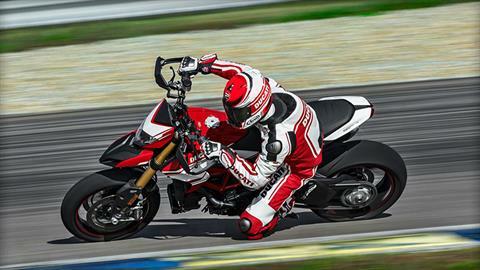 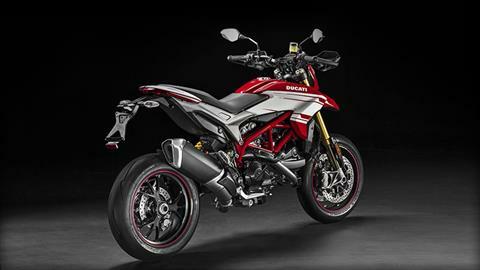 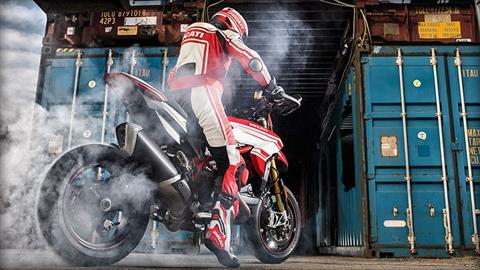 These extraordinary specifications help guarantee a dry weight of just 181 kg, 3 kg lighter than the standard Hypermotard 939.